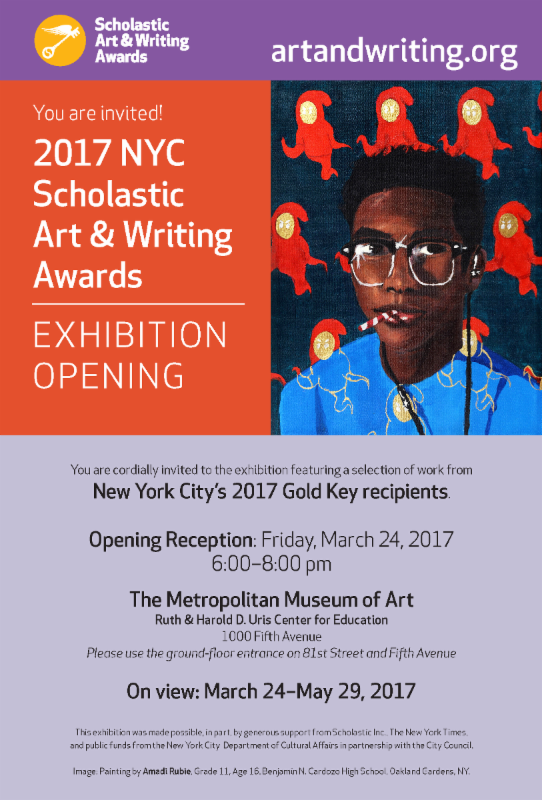 The Scholastic Art & Writing Awards of New York City ceremonies will take place on Sunday, March 13th at The New School – Tishman Auditorium, The New School’s University Center, 63 Fifth Ave, New York, NY. Art Ceremony: Sunday, March 13th at 11:30 am, followed by a reception where students can network with other Award recipients and Alumni. Refreshments will be served. Writing Ceremony: Sunday, March 13th at 3:30 pm, followed by a reception where students can network with other Award recipients and Alumni. Refreshments will be served. There are no leftover tickets for the ceremonies! Waitlist students and other non-RSVP students are welcome to come and collect their certificate(s) and pin(s), however, they are not guaranteed seating at the ceremony. Students and their guest(s) that RSVPd via Eventbrite will be seated first. Unused seats due to no-shows will be made available on a first come, first served basis. You should plan on arriving early if you plan on taking advantage of unused seats. Wednesday, February 10th is the last scheduled artwork drop-off day for students in grades 9-12! 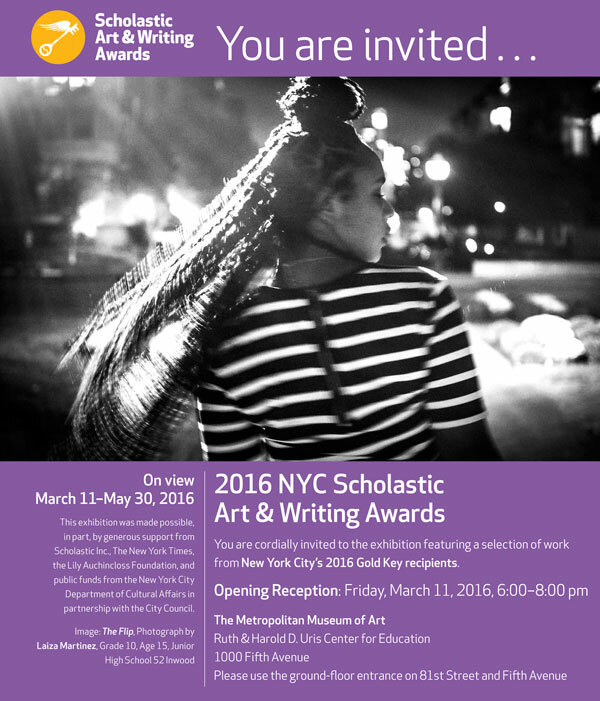 A table will be set up in the lobby of Scholastic, Inc. (557 Broadway) to receive artwork and sign consent forms. Consent forms for all Gold Key recipients in grades 9-12 have been printed and are available to sign upon arrival. The drop off schedule is 4:00-7:00 pm. DO NOT DELIVER ARTWORK TO THE MET! WHAT ARTWORK SHOULD BE DROPPED OFF? 9th-12th Grade 2D Gold Key Artwork such as paintings, drawings etc. Due to space limitations, the maximum size authorized is 11 x 14. WHAT ARTWORK SHOULD NOT BE DROPPED OFF? 3D Gold Key Artwork, oversized Gold Key artwork, and middle school Gold Key artwork. All middle school, oversize and 3D Gold Key awarded art will be displayed digitally. MIDDLE SCHOOL STUDENTS SHOULD NOT DROP OFF THEIR ARTWORK. Congratulations and we look forward to seeing you on Wednesday!